Twin Otter aircraft at Land's End Airport. The Isles of Scilly Steamship Company have issued a weather advisory for Saturday's (tomorrow's) Skybus flights due to the weather forecast of low cloud and reduced visibility. 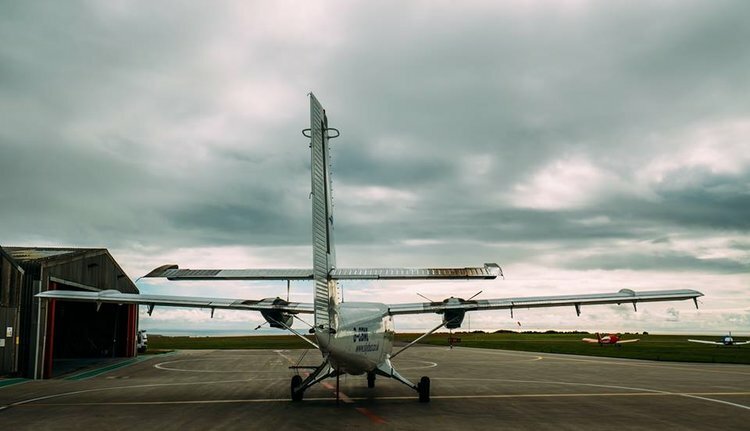 The weather forecast is indicating the likelihood of low cloud and reduced visibility at Land’s End and Newquay, which may cause disruption to Skybus flights.